Hey there! So you’re likely here because you are an Amazon user to some degree. I (Lauren) personally LOVE their prime shipping and buy as much as I can online for convenience. Today we’re going to talk about how to make money with the Amazon Affiliate program on your blog. What’s even more awesome is that you can earn a little money back if you become an Amazon associate and promote their products on your blog. It’s only around 5-7% (and as much as 10%) per product, but it’s completely passive. Set it up and forget about it! Perhaps the BEST part about their affiliate program is that you don’t just get a small commission if the person buys the exact product that you recommend. You get a commission on ANY AND ALL products that they person buys within 24 hours of their click. For example, if someone clicks on a $5 calendar that you link on your website, decides not to buy immediately, but then goes back to Amazon a few hours later to order a $500 watch they had been thinking about, YOU get the commission for that product! This is HUGE in November and December when people are constantly on Amazon purchasing Christmas gifts! It’s a great way to begin monetizing your blog because it works in almost any niche. Got a travel blog? Write an article on your favorite backpack and other travel necessities, and link them all to Amazon! Got a beauty blog? Write an article on your favorite beauty products along with a personal review of each one. And we still have a couple of days to go! Don’t have a blog yet? No problem! Visit our article on How to Start a Profitable Blog and get set up in less than an hour. So let’s get started with how to make money with the Amazon affiliate program! First, you’ll want to go over to Amazon Associates and sign up to become an associate. It’s a really easy process! It’s free, and there is no 3rd party approval process. Once you sign up, make sure to read all affiliate rules and disclaimers before linking any products on your blog. Amazon does have some pretty specific rules about advertising their products, but they are pretty basic and easy to understand. What next? Start linking! There are 3 options for this, and I suggest that you try out both! Link Amazon affiliate products subtly in your articles. You’ll want to go through all of the articles that you have written (or when you are writing future articles) and simply link products where it makes sense. For instance, in our health and fitness articles, we talk about coffee, coconut oil, and green tea for weight loss all the time. When we talk about certain tangible products like that, I occasionally link them to Amazon. I say occasionally because you don’t want to overdo it. I think a link every 2 or 3 paragraphs or several sentences is fine. People will become “blind” to your links if you link too much, and they may be more likely to click on other important links like your other articles or sales pages. If you are looking for a good example, check out our article on Weight Loss Tips on our other blog. You’ll notice that there is a combination of Amazon links, internal links to other articles, and links to our sales page. Just remember to add links where it makes sense. Don’t force it or you won’t get the click anyway. Write review articles with Amazon affiliate products. This is by far the BEST way to make money with the Amazon affiliate program. You’ll get the most clicks and purchases from Amazon with this technique. 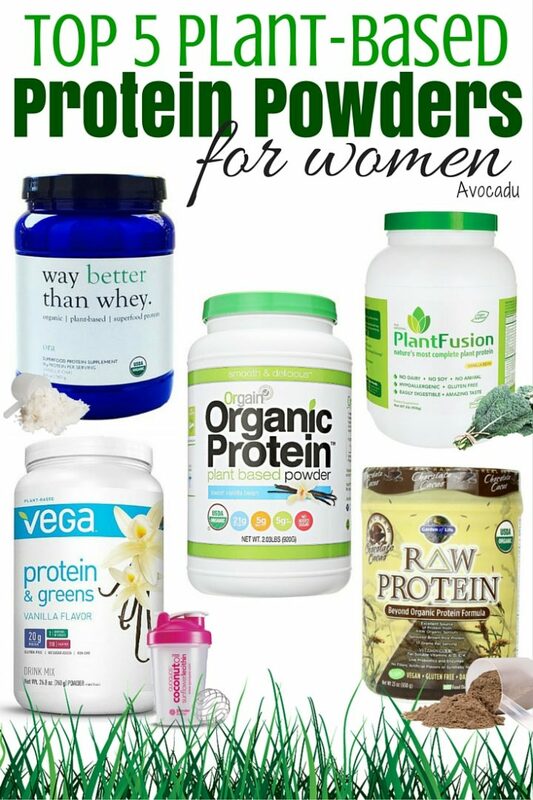 We’ll illustrate this concept with an example from an article on our other blog: The Top 5 Plant-Based Protein Powders for Women. If you click over to this article (opens in a new window), you will see that the purpose of the article is to review a few products and ultimately help someone make a decision about which one to buy. We provided a short description, some added information, and some links. Very simple! Note that it’s always best to try out all of the products if you can because many of your followers do believe that you are a trusted source. If you don’t want to do that, just make sure to read previous reviews on Amazon to make sure you get a good idea of the pros and cons of each product to be able to confidently write about them. These posts are very effective at getting clicks and purchases! Write a post to complement a specific Amazon affiliate product(s). We will also illustrate this with another example from our other blog: How to Use Ginger Tea for Weight Loss. In this article, we talk about the health benefits of ginger tea and how to use it for weight loss. The whole point of the article is to explain why you should have more ginger tea in your life. At the end of the article, we link two specific recommendations from Amazon for ginger tea and ginger pills. This is also another effective way to get more clicks. There are also some other options that may or may not be right for you. You can set up a “shop” page that has all of your favorite product recommendations. We tried this at one point, but it just didn’t get enough traffic or clicks to make it worth it. We wanted people to stay more focused on our products and other content. You can also set up a “recommendations” ads in your articles. We tried this as well. Amazon pulls information from the links and content of your article and offers related or complementary products in an ad like this below. These ads got very poor click rates on our blog, so we ultimately decided not to both with them because they do take away from the aesthetics of your blog and can look spammy. They also offer banners, but we don’t recommend them. They look too much like ads and will, again, make your site look spammy, in my opinion. Again, make sure to read their Participation Agreement in full before adding links to your blog and to make sure that your blog contains the proper affiliate disclaimers. Note that a general disclaimer for affiliates is not sufficient for Amazon. You MUST have a specific one for Amazon that can be found in their affiliate rules. There are also a few big restrictions, such as linking products in emails and PDFs. They must be linked on your blog posts or other public content on your website. Amazon has already made us a few thousand dollars this year! It’s very small when compared to the product sales that we do, but who doesn’t want an extra $500-$1000 every month!? That’s grocery money or fun money! Amazon is one of the EASIEST ways to begin to monetize your blog! Create something awesome today, guys! If you enjoyed this article on the Amazon affiliate program or have any questions, please leaves them in the comment section below! Thanks for the tips. I need to find ideas for the equivalent blog topics for my blog (about hardwood flooring). Amazon has been working well for me, but I want to accelerate it. I love your idea of doing articles/reviews about the top 5 or 6 or 7 products that do XYZ, but I’m having difficulty thinking of topics (as I’m so close to this).